Join our amazing art camps and don't miss out on the fun! 7 Kids per camp. All supplies are included in price. No registration fee. 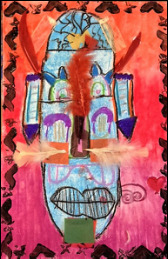 *PICASSO AND MATISSE (6-11 yrs old) 9:00 - 10:30 am ~ 2 SPOTS LEFT! Become familiar with these famous artists and their amazing art. (Cubism, blue period, murals and more). Create your own masterpiece by using different mediums and techniques. One in canvas. Animals everywhere! Do you love animals? In this class we will learn about our favorite animals and create art pieces using a wide variety of materials, mediums (oil pastels, chalk pastels, paint, watercolor) and techniques. In this exciting class children will create unique pieces or art by using a variety of materials and mediums (oil pastels, chalk pastels, paint, watercolor) and techniques (embossing, collage, paint resist, etc). They will also make a CLAY piece! Let's go under the sea and learn about Turtles, octopuses, whales, colorful fish, jellyfish. So many cool animals! We will create our art based on all this amazing animals. 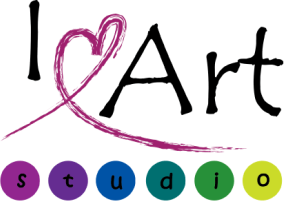 (chalk pastels, oil pastels, paint, watercolors and much more! In this exciting class children will create unique pieces or art by using a variety of materials and mediums (embossing, collage, paint resist, etc). They will also make a clay piece! Animals everywhere! In this class we will learn about our favorite animals and create art pieces using a wide variety of materials, mediums and techniques. Learn to paint like the masters!! (Monet, Van Gogh, Degas) and create your own masterpieces. One in canvas.